I know I bombarded last week’s post with mini-reviews… so here’s a longer one! 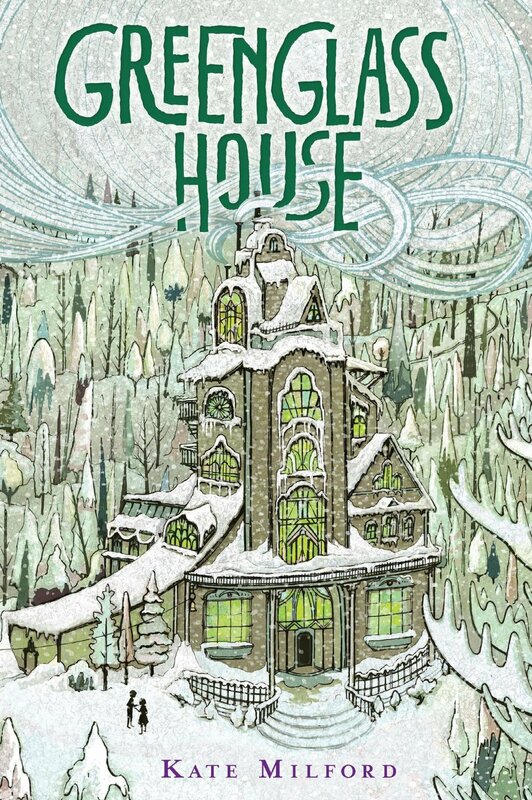 Kate Milford’s Greenglass House is a wonderful read for curling up by the fire or Christmas tree with a mug of hot cocoa. There’s no better time of year to read it! For one thing, it’s snowing throughout the entire book. For another, it takes place during Milo’s Christmas vacation. For another, it’s set in a huge, mysterious house full of both people with secrets and secrets of it’s own. Themes of the book include treasure hunts, roleplaying, making friends, and figuring out who is trustworthy and who is not. Milo is a somewhat compulsive child who likes everything to be just how it is supposed to be, down to the placement of pencils and notepads on his desk. This is a trait he both accepts about himself over the course of the book and is able to overcome when necessary. Greenglass House reminded me of the Mysterious Benedict Society ( highly intelligent, quirky children, a house full of secrets, unique and funny grown up characters who do not treat the children as if they are stupid) and, weirdly, of Murder on the Orient Express (lots of people confined to a small place, a mystery that must be solved before they are able to leave). Both of these similarities are big check marks in my book. Plus – just take a second and appreciate that awesome cover! Cleverly written and with a bit of a twist ending, readers of any age (advanced lower grade and up) would enjoy snuggling up with this story over their own Christmas vacations.